While air pollution gets a lot of attention, the air inside homes may be more dangerous. October is National Indoor Air Quality Awareness Month for good reason. This is the time of year we are typically spending even more of our time indoors. This is also the time of year many of us experience a spike in allergy/asthma symptoms, increase in “colds” or sinus irritation and infections as well as more coughing and sneezing! 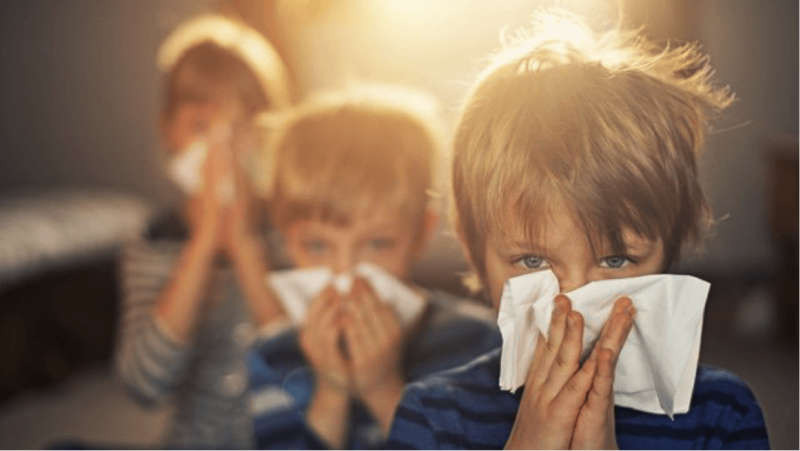 Don’t be so quick to blame all of these health effects on the colder weather or seasonal allergies, maybe the cause is lurking INSIDE your home? According to the Environmental Protection Agency (EPA), you’re likely to experience up to 100 times greater exposure to air pollutants indoors than outdoors. Unfortunately, most people spend about 90 percent of their time indoors exposed to those potential sources of pollution than can lead to discomfort and illness. That’s why ventilation is critical to a healthy indoor environment. People with asthma, allergies and other sensitivities breathe easier with clean air. Adequate ventilation can improve indoor air quality by removing airborne irritants, pollutants and lowering the likelihood of mold and mildew. Only recently have new homes really taken into account the need for fresh air indoors. In older homes, windows and the rest of the home leaked so much air that mechanical ventilation wasn’t required. Also in the days before most homes had central air conditioning, people more often opened their windows and doors for cooling and ventilation, allowing airflow through the house. Most homes, even older ones, have some sort of mechanical spot ventilation fan, usually in the bathroom areas. Spot ventilation is the use of exhaust fans (such as kitchen, bath, or utility fans) that quickly remove moisture and pollutants from the area. Depending on your home, spot ventilation is usually part of an overall strategy of either natural ventilation or whole house ventilation. Daily activities like showering and bathing introduce moisture into the air, so it’s important to have ventilation to manage humidity. Humidity – moisture in the air – can get out of control and cause poor indoor air quality that can lead to adverse health effects and damage to the home. Ventilation is also vital for fresh air in the house when a gas furnace operates to avoid any problems with carbon monoxide. Whole house mechanical ventilation maintains the overall indoor air quality of the home by moving air continuously, compared to local exhaust fans in kitchens and bathrooms that remove high volume and intensity of pollutants from rooms where they are created. The amount of whole house mechanical ventilation required is determined using a formula based on the size of the building and the potential number of occupants, resulting in a desired cubic feet per minute of air movement. Whole house mechanical ventilation can be accomplished using a single ventilation fan, air exchanger or other method; or use a combination of these to achieve the required airflow. If you’re building a new high-performance home or updating an existing home, you will likely encounter the need for whole-house ventilation. 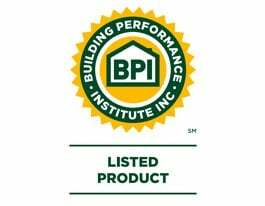 Homes built to tighter standards require ventilation systems. That means intake of fresh air as well as exhausting of stale air. You want to build tight and then ventilate right. With a ventilation system, there’s a continuous flow of fresh air to reduce humidity, odors, particulates, VOCs and other potentially harmful substances in the air. Plus the ventilation provides a much more even temperature and comfort level throughout the home improving the overall indoor air quality!